Like Tolkien’s other loners, Beorn is an honourable isolationist, who dwells in a secluded domain (the Carrock) and is presented as being distinctive, free, self-reliant but respectful of other lives and hostile only to those deserving hostility. 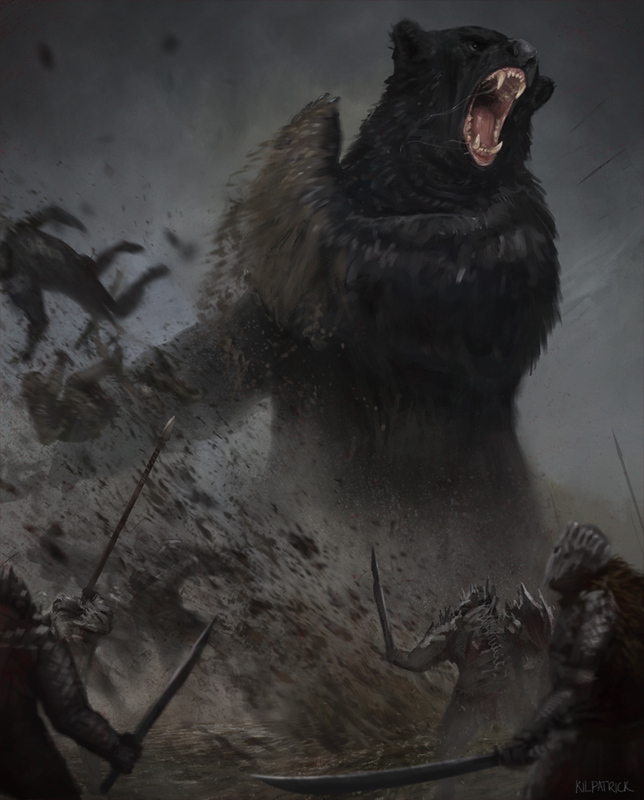 Beorn, both man and bear, is “appalling” when angry, though “kind enough if humoured”. Unsurprisingly, Beorn the bear-man is a double character, with some overlapping of traits: he is rough and alarming, even when shaped like a man, outright dangerous when wearing the shape of a bear, and committed to justice (admittedly harsh) in either outward form. From the start it is clear that Beorn is primarily drawn from a Norse model – he is given a Viking hall and his name, his appearance, his attachment to nature and revenge link him to the sagas. But there are softer, more civilized aspects to him as well, aspects which are not specifically English or Christian but which suggest some elements of both. He neither hunts nor eats other animals but “lives most on cream and honey”. He uses no metal (in other words, no weaponry) except in the occasional household knife where exceptions must be made. His garden is full of flowers, in an English countryside way. Home seems all important and carefully maintained. And yet, of course, it is Beorn who ranges great distances by night and who returns from his private, ursine raid “in a splendidly good humour”, having stuck a goblin’s head on the outside of the gate and nailed a warg’s skin on a tree (a nasty but Nordic stunt). He is, then, in the best Tolkienian tradition, a being of two extremes: both ruthless and kind, a bear and man, a homebody and wanderer, a berserker and pacifist in one. One clear source for Beorn is the Old English poem Beowulf – after all, the eponymous hero’s name means ‘bear’: he is the bee-wolf, the ravager of the bees, the creature who steals their honey, hence, the bear. Beowulf however, though he is immensely strong and a keen swimmer (both ursine traits) remains human all the way through his story, with only very occasional hints that there may be something strange about him. His adventures are paralleled, though, in an Old Norse work that is connected with Beowulf for other reasons, The Saga of Hrolf Kraki. The head of King Hrolf’s champions is nicknamed Bjarki, a clear analogue to Beowulf in what he does. Since Bjarki means ‘little bear’, his father’s name is Bjarni (which means ‘bear’) and his mother’s is Bera (which means ‘she-bear’), it is pretty clear that Bjarki is in some way or other a bear: in fact, a were-bear. Like many Old Norse heroes he is eigi einhámr, ‘not one-skinned’. In the climactic battle he turns into a bear, or rather projects his bear-fetch or bear-shape out into the battle – till he is foolishly disturbed and the battle lost. Tolkien put these pieces together – all of them, note, completely familiar to any Beowulf scholar, let alone one of Tolkien’s eminence. If there is one thing clear about Beorn in The Hobbit, it is that he is a were-bear: immensely strong, a honey-eater, man by day but bear by night, capable of appearing in battle in bear’s shape. His name, Beorn, is the Old English ‘cognate’, or equivalent, of Bjarki’s father Bjarni. In creating the character of Beorn, then, Tolkien appears to be answering the question of what a were-bear might be like if it were to have existed in the mythic prehistory of our world in which The Hobbit is set. Beorn, then, is a strange combination of gruffness and good-humour, ferocity and kind-heartedness, with overlaying it all a quality which one might call being insufficiently socialized – all caused, of course, by the fact that he has more than one form and is ‘a skin-changer’. As Bilbo notes when they find the goblin-head and warg-skin nailed up outside his house: “Beorn was a fierce enemy. But now he was their friend”. Beorn comes from the heart of the ancient world that existed before fairy-tale, a merciless world without a Geneva Convention, but the surprising and charming thing about him is that he is at the same time a vegetarian, a model of co-operative ecology, and readily amused. Ultimately, though, we are given few specific facts about Beorn in The Hobbit, little more than what is described or explained while the party stays in his hall. Tolkien brings Beorn back, an enigma to the end, for an encore at the Battle of Five Armies, “alone, and in bear’s shape,” appearing “no one knew how or from where” and wreaking great havoc on goblins and wolves alike. Though we hear that Beorn later “became a great chief” in his region and that he had many descendants, we are not shown him in a family setting or in a voluntarily social state; what is emphasized, instead, is his wish to be left alone (“He never invited people into his house, if he could help it”). But descendants, the Beornings, appear; so somewhere Beorn finds a mate. There is an interesting note to these descendants of Beorn. In The Hobbit at least, they are divided into two opposing categories, just as Beorn himself is divided into more than one character type. “Some were grim men and bad,” we are told, “but most were in heart like Beorn”. Such a splitting into opposing characteristics has its parallels in the Norse sagas, where children were not infrequently defined by similar polarities. A particularly striking example comes from the Saga of Egill Skallagrimsson, where, the skin-changing ability of Kveld-Ulfr (‘Evening-Wolf’), is remarkably close to that of Beorn. But, more than this, the fate of the two skin-changers’ offspring is also much the same. In each generation, descending from Kveld-Ulfr, there is one son who is handsome and pleasant and one who is ugly, disagreeable, and greedy; so too the Beornings, who divide into evil and good. Given the saga-like quality of his shape-changing, given his Norseman’s hall, his stature and boastful confidence, as well as his pagan sense of revenge, Beorn above all seems Nordic. 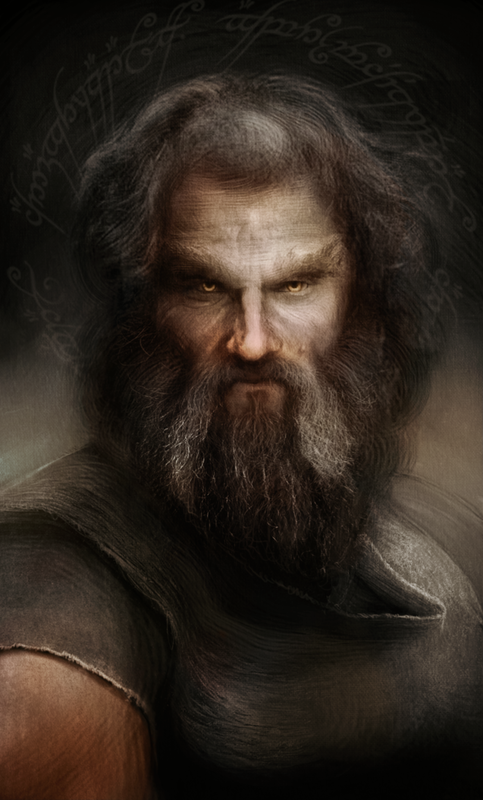 Rather than the fixed social order or hierarchy of the more developed English and Arthurian world (evident and idealized elsewhere in Middle-Earth) or the carefully structured system behind Tolkien’s Silmarillion (with its concern for order and degree), here in Beorn we seem to have the epitome of the independent man, the exemplary, admirable pagan. In spite of some English mollification in the form of his Shire-like flower garden and Downton-style entourage of animal house servants, Beorn remains in our minds the symbol of the Nordic ideal. He is grim, independent, expecting no good from the world, expecting no saving grace, loyal to those deserving, and, most telling of all, “under no enchantment but his own”. This last, this fierce and uncompromising self- containment, this mastery of his own magic and acknowledgment of no other power, is very Norse indeed. Oddly enough, I’m also reminded of Badger in “The Wind in the Willows”!